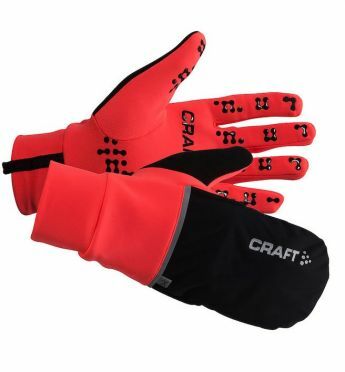 The Craft Hybrid weather running glove red is a great 2-in-1 glove of CRAFT! 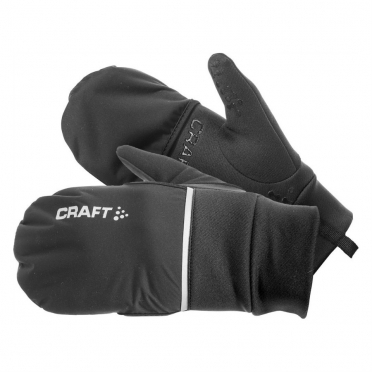 The "Hybrid Glove" keeps you warm and dry thanks to the brushed lining. 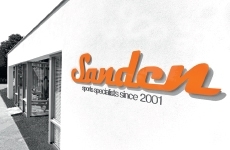 The water repellent coating offers a perfect protection against wind and weather. The inside of the elastic finger gloves provides anti-slip inserts and special touchscreen finger grip for added comfort. 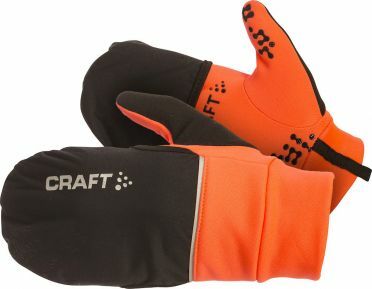 The Craft Hybrid weather running glove orange is a great 2-in-1 glove of CRAFT! The "Hybrid Glove" keeps you warm and dry thanks to the brushed lining. The water repellent coating offers a perfect protection against wind and weather. The inside of the elastic finger gloves provides anti-slip inserts and special touchscreen finger grip for added comfort. 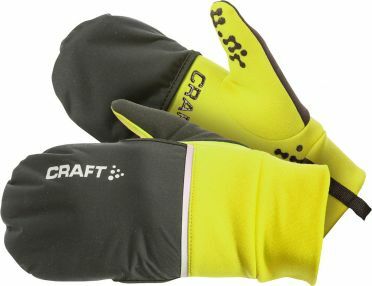 The Craft Hybrid weather running glove yellow is a great 2-in-1 glove of CRAFT! 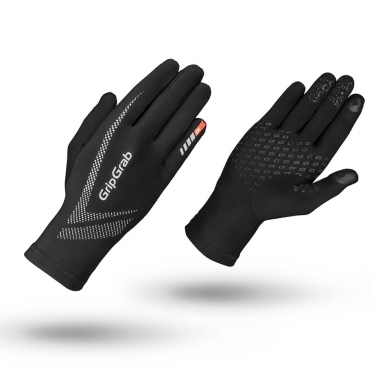 The "Hybrid Glove" keeps you warm and dry thanks to the brushed lining. The water repellent coating offers a perfect protection against wind and weather. The inside of the elastic finger gloves provides anti-slip inserts and special touchscreen finger grip for added comfort. 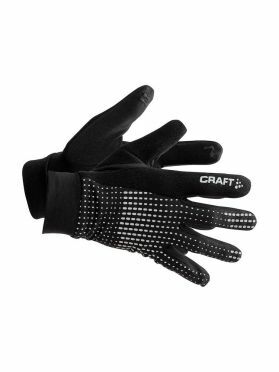 The Craft Brilliant 2.0 thermal running glove black/reflective are the perfect gloves for running. The gloves will keep your bodywarmth inside and manage the warmth perfectly during intensive trainings. Made with a craft logo and reflecting details, made to use your smartphone, just perfect gloves for autumn, winter and spring! 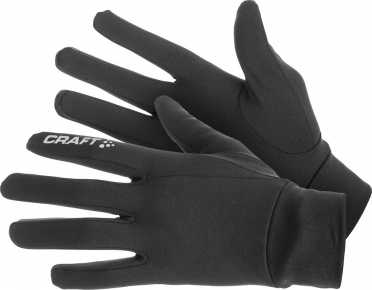 The Craft Hybrid weather running glove black is a great 2-in-1 glove of CRAFT! The "Hybrid Glove" keeps you warm and dry thanks to the brushed lining. The water repellent coating offers a perfect protection against wind and weather. The inside of the elastic finger gloves provides anti-slip inserts and special touchscreen finger grip for added comfort. A super light glove designed for running in the spring/fall months when it’s not freezing cold, but you still need a thin layer to keep your hands comfortable and protected. This glove features the EasyTouch function enabling runners to easily operate running watches, mobile phones or MP3 players. 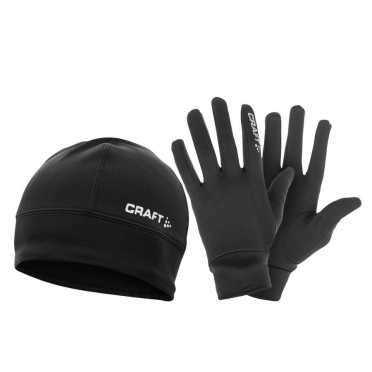 This Craft Running winter gift pack of thermo gloves and hat to keep you warm during winter workouts. This Running Winter Gift Pack is made of insulating material for functional and effective moisture transport, warmth and comfort. Ergonomic design and elastic materials ensure a good fit.